Toby would like to encourage anyone who has similar complaints to call 020 8825 6000. Complaints can also be made via email to customers@ealing.gov.uk. Less than a year after he moved into Acton, Toby Young is at loggerheads with Ealing Council and ECT over recycling and rubbish collection. In the Evening Standard last week, he wrote that he was very excited by the news that local councils intended to recruit volunteers to hand out on-the-spot fines to litter louts. He wrote: "I live in the borough of Ealing and the first people I would target are the troglodytes who the council employs to collect the rubbish." 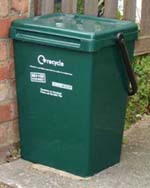 Having moved from Shepherd's Bush, he was initially impressed by Ealing Council's recycling policy. He found the process of separating out his waste time-consuming, but was happy to do it, thereby, he thought, setting a good example for his young children. The first sighting of a recycling lorry was apparently a big event for the Young family: "On the day of the first collection," Toby reports, "I spotted a recycling lorry at the bottom of the street and summoned my children to come and watch the bin men in action. This particular lot were responsible for collecting the contents of the "green boxes", one of half a dozen different containers we have to divide our rubbish into. We stood in our doorway, waiting to see them dispose of our waste in an environmentally friendly manner." But to the astonishment of the family, they witnessed a less than edifying scene as "a man in overalls picked up my box and started tossing out any rubbish he deemed unsuitable before taking it over to the lorry. When he had finished, he hurled the green box in the general direction of my doorway, sending it bouncing towards the head of my three-year-old son." Perplexed over where he had gone wrong, he examined the items strewn about in the road but "I was left none the wiser. I glanced back in the direction that the recycling lorry had come from and saw litter strewn everywhere, with most of the green boxes lying in the gutter. It looked as if the street had been hit by a small tornado." This is a routine which has become all-to-familiar to Acton's most celebrated journalist resident over the following months. His efforts to reason with ECT operatives and to point out to them that littering is an offence under Section 87 of the 1990 Environmental Protection Act, have been in vain. "The standard response is to hand me a leaflet that describes what you can and what you can't put in your green box and then tell me to get lost." But the last straw came last Wednesday. A china plate had somehow found its way into the Young household's green box. It was tossed out by the ECT operative onto the pavement, smashing into a dozen pieces. 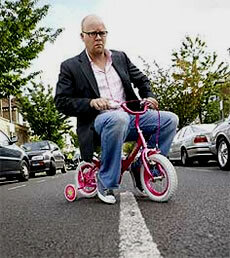 Young wrote: "I finally complained to Ealing council. They've told me they'll look into it, but I suspect that empowering local citizens to issue on-the-spot fines to the council's employees is the only way forward." His experiences will doubtless come as no surprise to many Ealing residents, who are used to finding the contents of their green bins rejected for containing 'the wrong rubbish'. Quite what response he will get about the mis-placed china plate remains to be seen, but his indignation over rubbish-strewn-post-recycling-lorry streets may bring him some new local fans.